Our ability to predict future climate change effects on biodiversity is essential to define better conservation strategies. For this, it is crucial to know if populations can adaptively respond to climate warming. However, very few studies have addressed real-time evolution under climate warming. This project consists of an evolution experiment to understand the tempo and mode of adaptation to climate change. This question will be analysed through experimental evolution, by studying the real-time evolution of populations subjected to a climate warming scenario in a controlled laboratorial setting. Evolutionary changes will be addressed at different biological levels (life-history, physiological and morphological traits, chromosomal inversions and transcriptome) and including populations with different biogeographical histories to provide a detailed understanding of the thermal adaptation process. 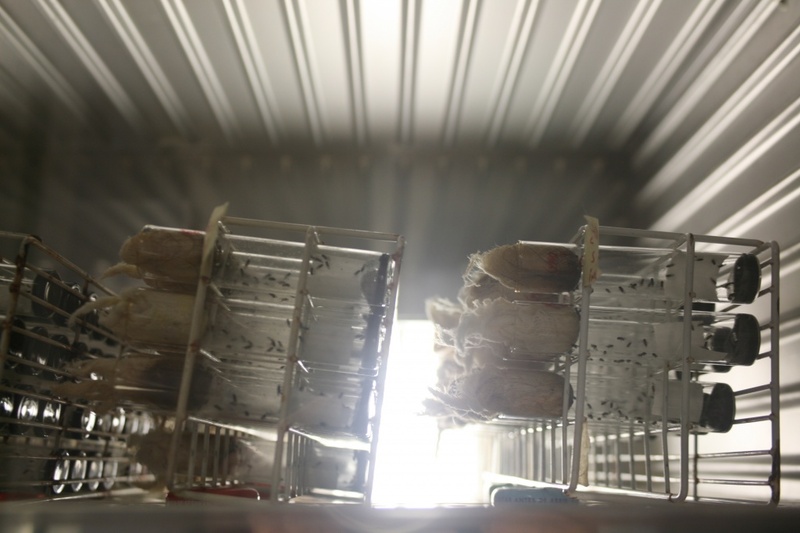 Specifically, this project will characterize the evolution of Drosophila subobscura populations from two contrasting latitudes of the European cline subjected to two distinct thermal regimes: warming (with increased mean temperature and increased thermal variance across generations) and non-warming. D. subobscura is an excellent model as it responds to thermal challenges. Several periodic experimental assays will be performed in the evolving populations aiming to: study life-history, physiological and behavioral changes under climate warming, measuring traits relevant to fitness; characterize the thermal plasticity and its impact on evolutionary response; link evolution of life-history/physiological traits and chromosomal inversion frequencies (i.e. mutations that respond to climate change in this species); and characterize the underlying molecular basis of the thermal response, through transcriptomic changes. While several studies have tackled thermal adaptation, very few experimental studies have addressed the evolution of populations under gradual thermal change as occurs in global warming. This study aims to fill this gap while providing several relevant innovations: 1) test empirically one major effect of climate warming: increased thermal amplitude (difference between upper and lower temperatures) across generations; and 2) address variation in thermal response of populations with differentiated genetic backgrounds due to distinct biogeographical histories. This is very relevant as projections of climate change effects on biodiversity that do not take into account within-species variation can provide erroneous results. This study will tackle recent problematics in the thermal adaptation field, addressing the consistency of reported low potential for upper thermal response by performing different types of thermal tolerance assays. Altogether, the body of data generated by this study will allow better predictions of species distributions and biodiversity as a result of climate change, relevant for conservation purposes. Science and Technology Foundation (FCT -PTDC/BIA-EVL/28298/2017).